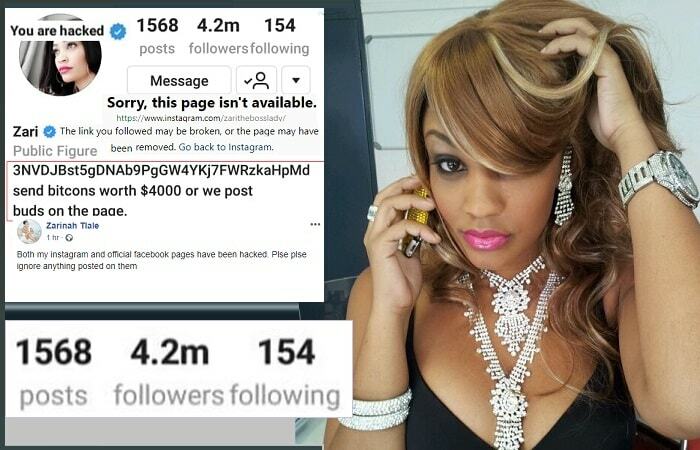 The Zari camp has been working around the clock to have her account recovered from the hackers. 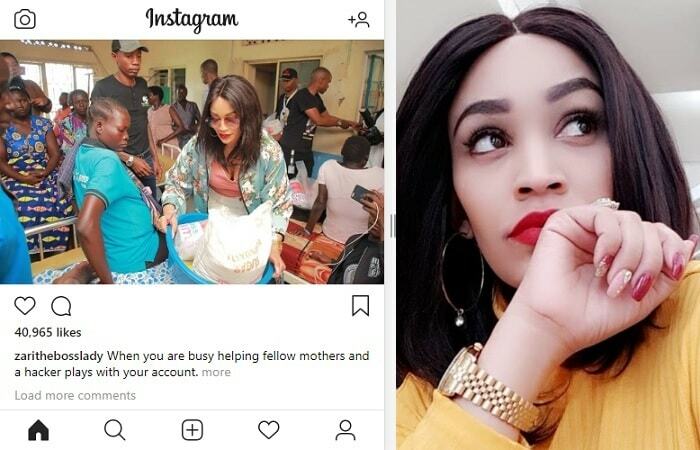 The socialite who is in Arua on a Bryan White charity drive used her other profile to let her fans know that her Instagram and Facebook accounts had been hacked. "Both my Instagram and official Facebook pages have been hacked. Plse plse ignore anything posted on them," She noted earlier. "When you are busy helping fellow mothers and a hacker plays with your account." "We are pleased to have shared with expectant mothers at Omugo Health Centre IV in Terego Sub County Arua district by donating to them a number of items including mama kits," a source from the Bryan White Foundation noted. You could be wondering what the Bryan White Foundation team is still doing in Arua after the pelting of stone scenes and the looting that left the police with no choice, but to use tear gas and bullets to disperse the crowd. "The foundation team will camp in Arua until Friday 10th. Our interest free loan scheme will commence tomorrow with SACCOs and organized businesses in Arua will be boosted." We will visit hospitals, schools, vulnerable communities amongst other entities. The foundation will not leave any stone in Arua unturned. See you through the week lovely people of Arua. "Criminal gangs need to be perfectly handled in a tricky way. We’re doing our best to make sure we bring positivity out of Arua Criminal gangs. The team reached out to them with a number of items and we will keep engaging their gangs in the coming week," Brya White concluded.